Singapore, France and Spain are the summer 2019 destinations of 10 lucky Canberra Institute of Technology (CIT) students on an innovative renewable technology-learning journey. This academic and cultural immersive experience including exposure to industry leaders is possible thanks to the Australian Government's Endeavour Mobility Grants. Josephine Whitfield Department Head of Electrical Trades and Electrical Trades Teacher Stuart Butterworth are leading the group through the study tour. "The training CIT offers focuses on developing and upskilling a qualified workforce to compete in this emerging industry," Ms Whitfield said. 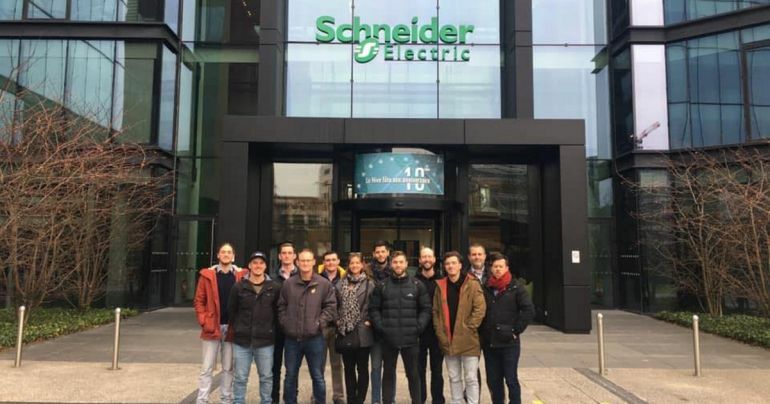 "The study abroad experience will allow students pursuing electrical trades to see design examples in the application of renewable energy including solar and battery storage and the outcomes on business and construction." The two-week energising learning experience will take students to the Institute of Technical Education in Singapore as part of an educational partnership that fosters collaboration and educational exchanges to prepare students for the global workforce. While in Singapore learning about renewables, an absolute must is a visit to the Solar Energy Research Institute of Singapore at the National University of Singapore, where the students will see the world's largest testbed for floating solar photovoltaic systems. In France, the students will visit the Paris headquarters of Neoen, one of the world's leading independent producers of renewable energy. Neoen will also facilitate the group's visit to Cesta's Solar Park, Europe's largest solar photovoltaic plant near Bordeaux. Whilst hosted by Abengoa-Algonquin Global Energy Solutions in Seville, Spain, a global leader in the socially responsible development of energy and water assets, the group will visit PS10 and PS20, power solar plants that produce electricity with heliostats, or movable mirrors. The trip will help students expand their perspective and consider the range of possibilities available in the renewables sector. "The opportunity to complement the students' hands-on, practical and technical training with international exposure is invaluable to develop 21st Century, industry-relevant capabilities," Ms Whitfield said. CIT supports the ACT Government's commitment to renewable energy. CIT has addressed the need for innovative, comprehensive training to prepare skilled practitioners for this new industry sector through its state-of-the-art Renewable Energy Skills Centre of Excellence. CIT courses have the accreditation of the Global Wind Organisation (GWO) for large-scale wind energy training. Student grants are made possible with support from the Australian Government's Australia Awards - Endeavour Mobility Grants program.